Corporate and small business representation is a core practice area for our Firm. We have developed a relationship of trust with numerous corporate clients, having both small and large businesses and who desire to have one central advisor counsel them regarding the myriad of issues to be navigated in today’s world. We have helped our corporate clients make the most of business opportunities presented and also to avoid significant pitfalls before them. 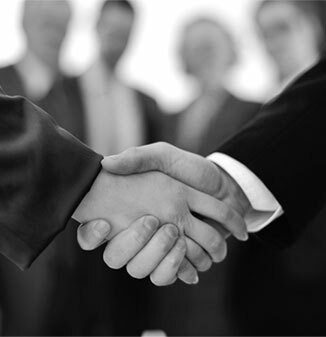 We provide general counsel and strategic advice and focus on building long-term relationships. We are capable of viewing our client’s business issues from the highest level down to the finest detail. The Firm’s corporate attorneys represent individually-owned and family-owned business entities, and mid-sized and publicly held companies. The size of the client is not as important as our developing an understanding of each client’s particular business and needs, from overall structure to employment to regulation and growth. We serve numerous clients closely as outside general counsel so they can avoid a need for a full time in-house attorney. We represent entities in a wide range of industries from construction, real estate, retail and health care to banking, automotive dealerships and sports. We keep our clients apprised of changes in the laws that affect them, handle their leasing, financing, acquisitions, and structuring as well as their employment, wage and hour issues and commercial transactions. Our ability to provide overall corporate representation is enhanced by our separate strengths in business litigation, shareholder and employment disputes, as well as commercial transactions. If you are seeking attorneys with a high level of sophistication, business acumen and experience to assist you with corporate law issues, call our Firm at (201) 947-4100 for a consultation.